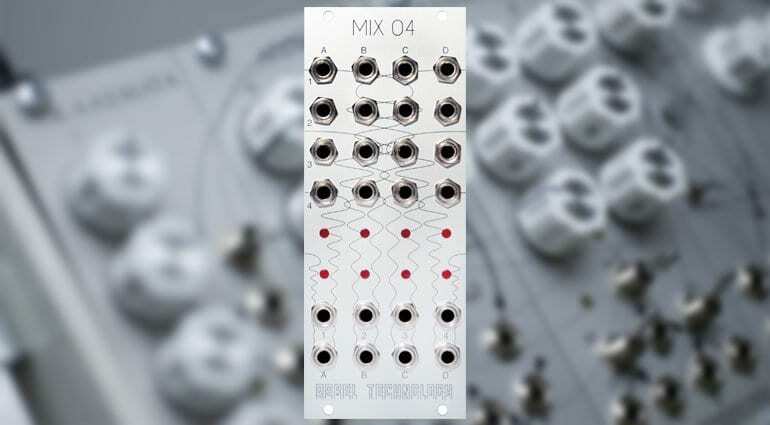 Rebel Technology have released the next module in its family of “Mix” Eurorack mixers. The Mix 04 offers a matrix of 16 VCAs routing any input to any output and can be expanded by the Mix 01, 02 or 03, or by itself. For a mixer, the Mix 04 is strikingly knobless. 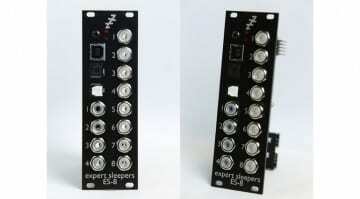 The idea is that the 4 inputs and 4 outputs are controlled via the 4×4 CV matrix. At the bottom of the module, you have inputs 1-4 and outputs A-D. The routeing is determined by the presence of the CV signal on the matrix. So if you want input 1 to go out of output C you need to apply a CV signal to the third socket on the first row – 1, C – get it? The CV value then dictates the level. That probably sounds more complicated than it is. I always find it helpful to see a video of a new module in action. Sadly, there’s no sign of one yet. 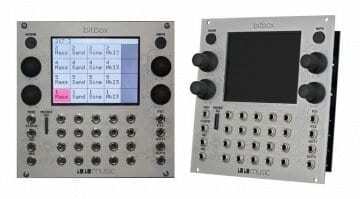 All the Mix modules have an analogue bus interconnect on the back so you can hook it up to other Mix modules. 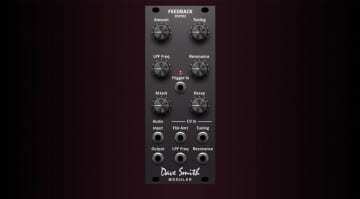 Add a second Mix 04 and you can have a 4 x 8 matrix with either 4 inputs and 8 outputs or 8 inputs and 4 outputs. Adding other Mix modules allows you to build up a bit of a personalised mixer. I’m really taken by the idea of being able to build on and compliment a single mixing module as your system gets more complex. The inputs and outputs are all DC coupled and so suitable for both audio and CV mixing and routing. The Mix 04 should be available about now for £220. More information available on the Rebel Technology website.